Medicated Follower of Fashion: I'm like a bird..
LOVE your comfy outfit - we ALL have those comfy days for comfort things, don't we? I also wear oversized shirts and leggings or jeggings. And sit around sipping coffee or tea with my laptop. Those are the BEST days! I've gone back to wearing khaki bottoms and black t-shirts. It's a drag! I'm trying to get away from the "mom uniform" and try different styles. what a cute and comfy outfit! i wish i was wearing it right now! I love this casual comfortable sweater dress! 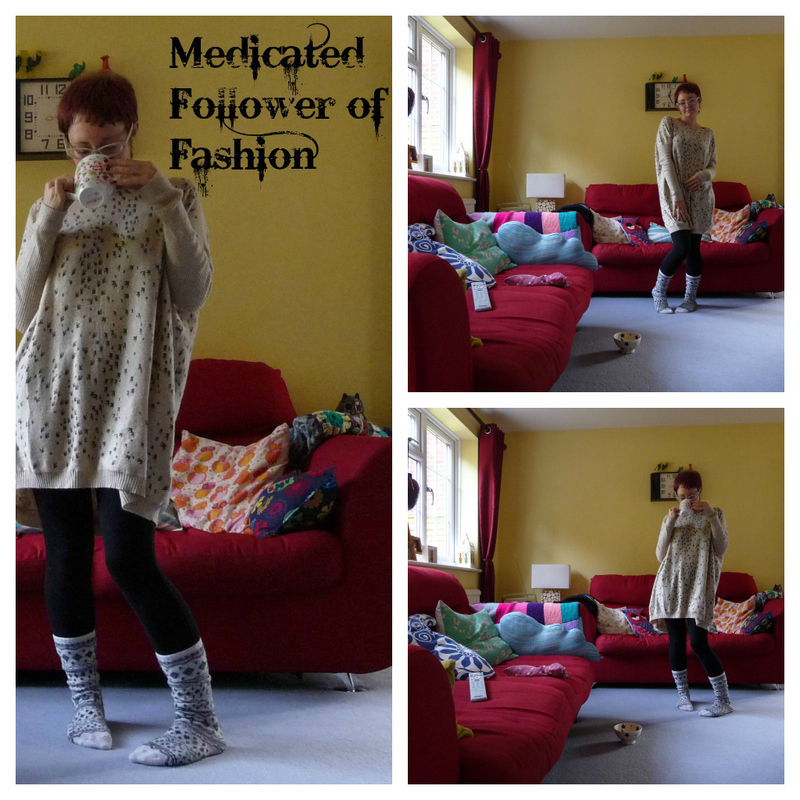 I wish it were cool enough here for snuggly clothes like this : > thanks for linking up to Visible Monday. Oooh, I love big, warm socks! PS Loving your socks! Chunky, cozy, and cute!!! Ooooh, I love that jumper dress. Must pay a visit to TK Maxx later this week!